BSOD or Blue Screen of Death can show up on your screen for a number of reasons. These reasons can be anything from corrupt registry, virus or malware to a physical memory error. These all can lead to the Blue Screen of Death, which is known to show up on a Windows computer after a fatal system error. If you see a BSOD on your computer screen, along with some error, it also means that your system has crashed. The error could be a temporary one, meaning, the BSOD won’t show up after a restart. But, if the error was a severe one, you will be stuck in a BSOD loop. Meaning, you will keep seeing the blue screen every time you try to turn on your computer. And, you won’t be able to get past this screen, unless you fix the error which has caused the BSOD to show up. This is not a temporary BSOD error, and it will prevent your computer from booting. The reason behind this error is missing or corrupt Boot Configuration Data (BCD), which normally occurs after an unsuccessful upgrade or update attempt. Meaning, probably you were upgrading your computer from Windows 7 or Windows 8/8.1 to Windows 10, or an important update was being installed and your computer was shut down. The BCD can get corrupt due to disk write errors and malware/viruses attacking system files as well. The error code 0xc0000225 can also occur when your computer is unable to verify the digital signature of any recently installed application or device driver. In other words, the error code 0xc0000225 will occur if your computer has corrupt system files (BCD), a faulty hardware, or a malware affecting system files. The error code 0xc0000225 is a very fatal error and it should be fixed as soon as possible if you want to access your computer. But don’t worry, we will help you fix this error using a number of methods, doesn’t matter what may the cause behind it be. Before beginning with the methods to fix this error, you will need a bootable Windows 10 Installation Media. It is required to fix this error because the error is related to corrupt system files. So, if you don’t have a Windows 10 Installation Media, we will help you create it. You will have to create Windows 10 Installation Media using another Windows 10 computer. And, if you already have it, you can simply skip to the methods. The Windows Installation Media is required and can be used to install or repair Windows 10. 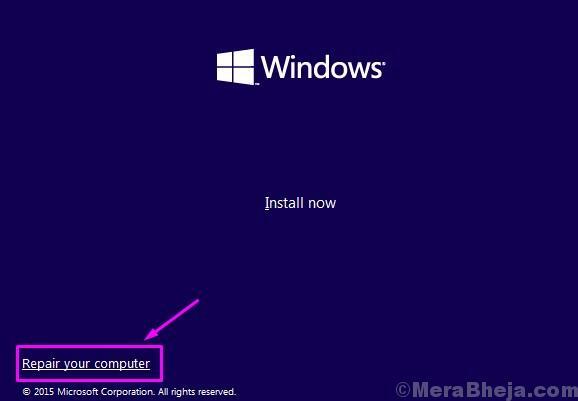 Using the method mentioned below, you will be able to legally download Windows 10 from the Microsoft’s website. We will create a bootable Windows 10 USB flash disk, using which you will be able to perform a clean Windows 10 installation and repair any Windows 10 problems. 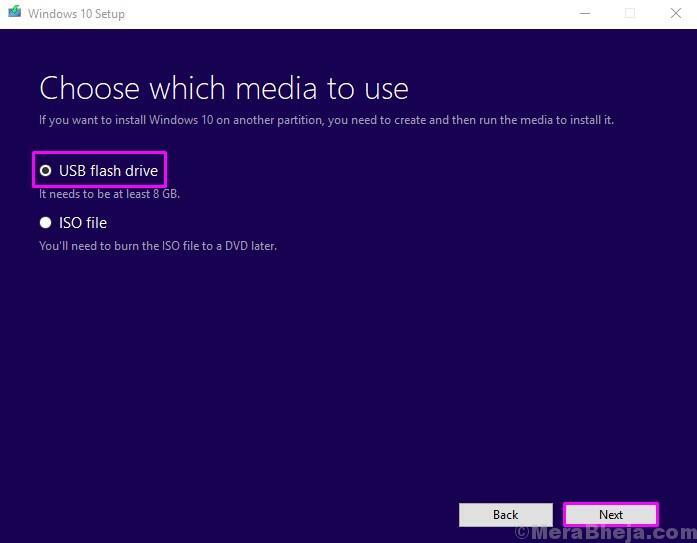 Simply follow the method mentioned below to create a Windows 10 Installation Media. Step 1. Firstly, you will have to download Media Creation Tool from Microsoft’s website. After Download, open it. Step 2. After seeing the Getting a few things ready screen, you will be greeted with Applicable notices and license terms. Click on Accept. Step 3. The Media Creation Tool will take some time in getting a few things ready. After that, in the screen, select Create installation media (USB flash drive, DVD, or ISO file) for another PC, and click on Next. Step 4. In the next screen, you will see that the Media Creation Tool has automatically recognized the Windows 10 version you are currently using. If you want to download the Windows 10 for the same computer, don’t change it. 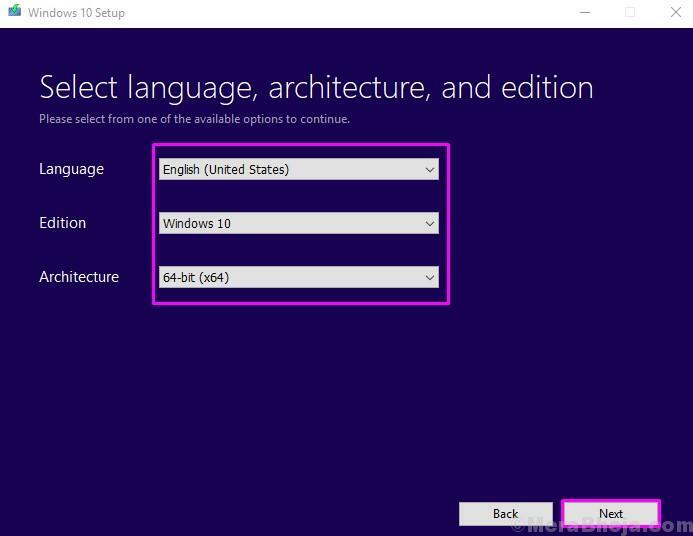 But, if you want to repair or install Windows 10 on some other computer, then select the Language, Edition and Architecture accordingly, and click on Next. Step 5. In the next step, you will have to select USB flash drive and then click on Next. Step 6. Now, you will have to plug an empty USB flash drive in the USB drive slot, which must be at least 8 GB in size, and then click Next. After the last step, the Media Creation Tool will begin downloading the Windows 10 setup files. After the completion of the download, your USB flash drive will be ready to use as Windows 10 Installation Media. 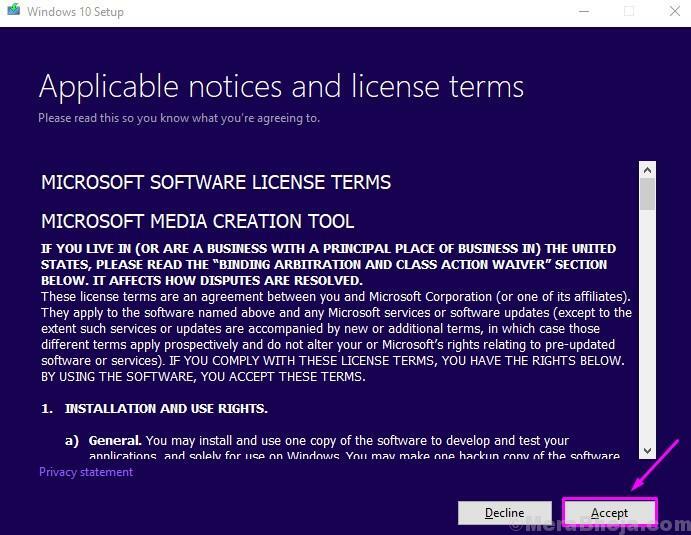 After creating the Windows 10 Installation Media, you will need to boot from it. Why? Because the error code 0xc0000225 is preventing you from logging in on your computer. So, to fix this error, you will have to boot from the USB flash drive and to do so, you need to change the boot order on your computer. Here’s how to do it. Step 1. Insert the Windows 10 USB Flash Drive in the USB drive slot, and turn on your computer. Now, as soon as you hit the power button to turn on the computer, keep your fingers near the keyboard. You will soon see a short instruction text, which will ask you to press a specific key to access BIOS screen. Mostly it is the Delete key, or F1 or F2 key. It can also be any key from F3 to F12. It depends on the system manufacturer. Whichever key it is, press it. If you were unable to do so, restart your computer and repeat the process until you are able to launch the BIOS screen. Now, in the old BIOS screens, the Boot menu is labelled as BOOT. If you are unable to find it, look for System Configuration. The boot menu will be located as sub-menu in System Configuration. Step 3. In the Boot order menu, look for the USB flash drive and select it. Check the controls on how to select it. After selecting it, change its order to first and press Enter to confirm. Step 4. After selecting the USB flash drive as primary boot drive, you will have to Save and Exit. Check the control to perform this specific action. Often this can be done by pressing F10 in most computers. After the last step, your computer will restart and you will be able to boot using a USB flash drive. After booting from Windows Flash Drive, you will see a Windows Setup screen, where you will be asked to select a language. As you are now capable of booting using Windows Flash Drive, we can begin the methods to fix error code 0xc0000225. Simply perform the methods mentioned below, until the issue is fixed. In the first method, we will try and fix the error using Windows Automatic Repair, which is Windows’ troubleshooter. The troubleshooter automatically checks for errors and issues affecting your system and fixes them. Let’s see if it can solve the error code 0xc0000225 on your computer. Step 1. 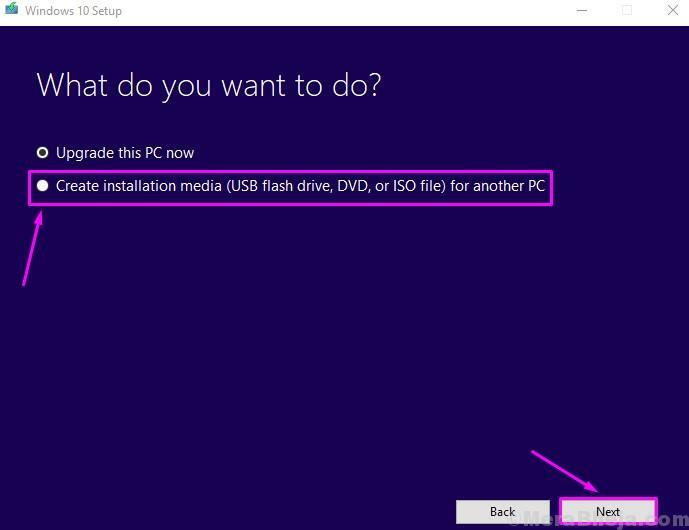 When booting using the Windows 10 flash drive, you will soon see a Windows Setup screen. Here, select your language and click Next. Step 2. On the next screen, you will see an Install now button in the middle of the screen. You don’t have to click on that. Click on Repair your computer. It will be located on the bottom-left corner of your screen. Step 3. In the next screen, select Troubleshoot. Step 4. You will be taken to Troubleshoot screen. Select Advanced Options. Step 5. Now on the Advanced options screen, click on Startup Repair. The last step will start the Automatic Repair process. Let it complete and then restart your computer. Try booting your computer normally and check if this has solved the issue. If not, try the next method. As the most common cause behind the error is corrupt Boot Configuration Data, we will try to rebuild it. Follow the steps to rebuild Boot Configuration Data. Step 1. After selecting the language, click on Repair your computer. Step 2. In the next screen, select Troubleshoot. Step 3. In Troubleshoot screen, select Advanced options. Step 4. Now, in Advanced Options screen, select Command Prompt. Step 5. The last step will open the Command Prompt window. Here, enter the following commands and press Enter after typing each command. Step 6. Wait for the process to complete. Once done, restart your computer. Try booting your computer normally and check if this method has fixed the problem or not. If it didn’t work, try the next method. In this method, we will run System File Checker and Check Disk Scan, using the command prompt. Simply follow the steps below to perform this method. Step 1. Select language on the first screen, click Next and then in the next screen, click on Repair your computer. Step 3. Select Advanced options in Troubleshoot screen. Step 4. In the Advanced options screen, select Command Prompt. Step 5. 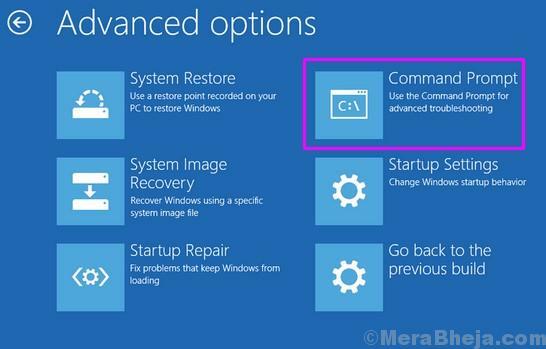 In the command prompt window, you need to type the following commands and press Enter after typing each command. You will have to wait after entering the first command, as it will take some time for the SFC scan command to complete its scanning process. Note: In the second command, if the Windows system files are installed in any other drive, replace “c” with the drive name of that drive. Step 6. Wait for the commands to complete the scans. Once done, restart your computer. Reboot your computer normally and check if this method has resolved the issue. If the problem still persists, try the next method. In this method, we will change the active partition. This should fix the error. Follow the steps mentioned below to perform this method. Step 1. Select Language on the first screen and click on Next. Step 2. In the next screen, click on Repair your computer. Step 4. Click on Advanced options in Troubleshoot screen. Step 5. Select Command Prompt in Advanced Options screen. Step 6. In the command prompt window, you need to type the following commands and press Enter after typing each command. Step 7. After performing the last step, you will see the disk list, with disks labelled as Disk 0, Disk 1, etc. Now, you need to note the disk number of your hard drive, which is most likely Disk 0. You will be able to guess it by its size. Now enter the following command and replace the alphabet Z in command with the disk number of your hard drive. Press Enter after typing each command. Step 7. After entering the second command in the last step, you will see the partitions on your drive. Here, look for the main partition and note its partition number. Enter the following command and replace Y with the noted partition number. Don’t forget to press Enter after typing each command. After entering the last command, restart your computer. Boot normally and check if this method has fixed the issue. If not, perform the next method. 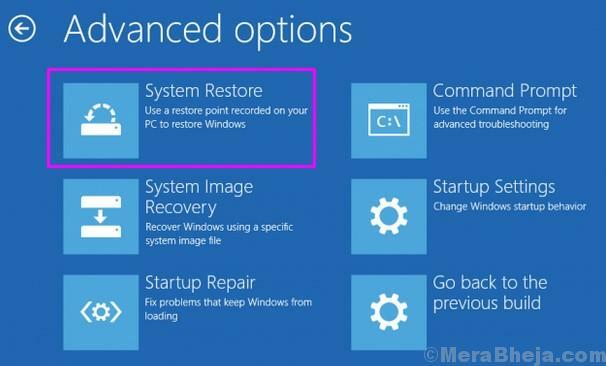 As Windows 10 has System Restore feature, you can restore your computer to the point where your computer was working completely fine. To perform this method, you must have a recovery disk with a restore point before the problem began. If you have, simply boot again using the bootable Windows Installation Media and select System Restore under Advanced Options. Follow on-screen instructions after that. If you don’t have a recovery disk or any restore point before the problem began, you will have to reinstall Windows 10 on your computer. This will replace all the broken and corrupt system files on your computer and you will be able to use your computer again. 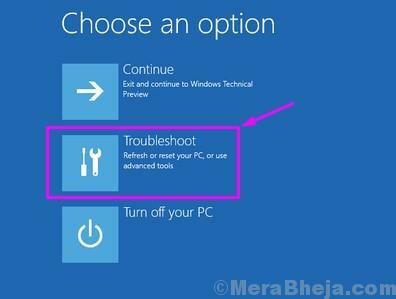 To do this, boot using the Windows Installation Media and select Reset your PC under Troubleshoot. Follow the on-screen instructions after this. Reinstallation should fix the problem. If you are still not free of error code 0xc0000225, then perform the next method. If the last method didn’t work for you, then most probably this is the case of some faulty hardware which is messing with your system files. So, you need to get your hard disk checked by an authorized technician. Take your computer to the manufacturer’s service centre and discuss your problem with them.